Residential jobs are always special because they can make a big difference in the way a family enjoys their home. Whether you want privacy for your family, security and safety, or to only establish a clear border of what’s yours. A good fence installation needs a qualified fence contractor or it won’t last. A fence for a home is very different from a fence for a business or a government location that requires a separate set of considerations. At Paterson Fence Installation we make sure to complete these projects with the attention to detail that they require. Not to mention, the importance of how a great fence can add a lot of value to a home. We’ve taken some time to write a bit more about residential fence projects farther down this page. So please feel free to browse through at your convenience. If you have any questions, please call us at the number above or send us an email with the form. We’ll be happy to provide any and all information we can. We’re homeowners too, and we hire companies for things around our homes too. Things like setting a clear date of installation, arriving on time, and getting it done perfectly matters to the homeowner. As does making sure the work area has been thoroughly cleaned before leaving. The job doesn’t end with the final fence section, but with the restoration of the full functionality of the area. We love our homes too. They’re places to unwind, raise our children, and be comfortable, and ensuring the quality of work from the companies we hire is always a big concern for us too. We aim to be the fence contractor in Paterson that we would want to hire if the shoe was on the other foot. That’s always been our rule of thumb, and we’ve found this to be greatly appreciated. 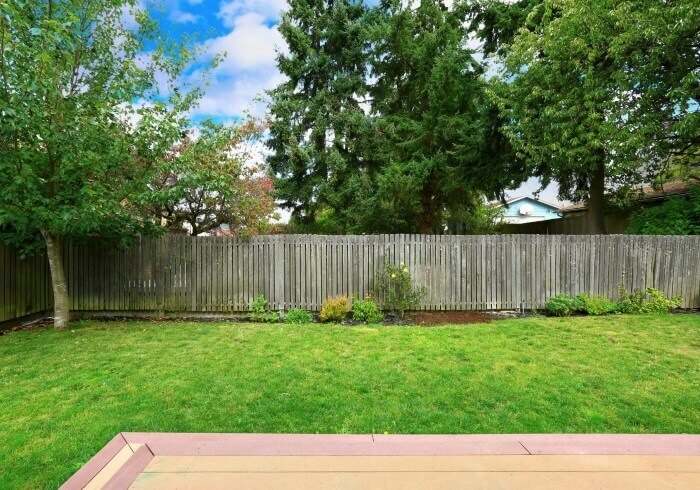 There are many reasons why someone might want or need a fence. You might want privacy for your family and children from nosy neighbors or passing motorists. Or perhaps you want secured to solid fence separating your property and home from the street and neighborhood. A fence can be a great deterrent in robberies and it also makes seeing items worth stealing more difficult. If you have pets or children, you might want to have a fence to ensure they stay safely in your yard and potentially dangerous wildlife doesn’t find its way into your yard. Whatever your reason for wanting or needing a fence. You’ll want to get a qualified, experienced fence builder who’ll do it quickly, efficiently, and properly. There is definitely something about a great looking fence that can help define your home and give it shape. You can separate your little part of the world from the rest of it, and it feels great to have your own place that you can design and shape as you want. The thing about fences is that people are often completely unaware of how many options they have to make their fence special and look just how they want it. From shapes, sizes, designs, colors (paints, stains, and seals), you have a wide range of options available. Please feel welcome to come to us with your ideas and plans. We’ll be happy to look over them with you and find the perfect solution. If you already know what you want, then give us a call and let’s figure out how to make it happen! Doesn’t matter what material you want to use or the design you choose, we’re always excited to get started on a beautiful fence.